There comes a point in everybody’s life that payday is just too far and expenses and creditors are just too near. This could be because of a myriad of reasons, but the point is that there are bills to pay with no money in sight. It is for this purpose that some financial institutions and money lenders offer what is known as a payday loan. A payday loan (also known as a paycheck advance) is given to people to help them cover their immediate expenses until their next paycheck arrives. It is treated as a short-term loan and is also subject to interest rates being imposed. Due to the controversy of the nature of the loan different countries and the different states of America have imposed strict laws governing these loans. Some states even outlaw the loans completely. The payday loan works as follows: You approach the moneylender with proof of your income and the date on which you are paid (in the USA this is normally a two-week period). You then receive the cash advance that you applied for. In return you write a post dated check for the full amount and hand it to the lender. When payment of the loan is due, you are expected to come into the lender’s offices and pay the loan in person. Should you not do so, the lender may then process the post dated check either traditionally or via electronic withdrawal. Should the check be returned because there are insufficient funds in the account, the debtor will face further interest on the loan amount, as well as bank charges for the bounced check. It is important that you understand the interest rate, as it makes a difference in how much you have to repay at the end of your loan period. Finance rates in the United States are between 15% and 30% and calculate to astronomical rates when calculated annually. It is also possible to make a payday loan via the internet. This involves filling in an online form in which you provide your personal details as well as your banking details and social security number. This is a risky practice, but is growing in popularity. The best advice is to work out a budget that will make your money stretch for the entire month and strictly stick to. That way you may avoid getting into debt. There are many times when a person might be in a financial pinch. A cash advance could be an option, but many questions might arise. Cash advances and payday loans are one way to tide you over when you are low on cash; these short-term loans are available quickly and easily. Be sure that your situation is the right one for a payday loan or cash advance. These loans are usually appropriate for emergency situations and in times when they can be paid back quickly. Payday loans and cash advance loans are not right for everyone, so be sure that you research and find out if your circumstances are appropriate. There are times when payday loans and cash advances are quite necessary. If your car has an unexpected issue that needs repair, this type of emergency could be appropriate. Also, an emergency medical bill could arise when you are not financially prepared. Researching the best company and obtaining a payday loan or cash advance for these surprises should definitely be considered; these types of scenarios are exactly the moments when a cash advance is needed. Another important element to consider is how quickly you can pay back the loan company. Many payday loans and cash advances have high interest rates and late penalties. If you know that your financial situation might not improve any time soon, the payday loan may not be the best fit for you. If you know that your next paycheck will allow you to pay back the loan, then you should be confident in applying for a payday loan or cash advance. Be sure that you meet all eligibility requirements before applying. Some companies need different documents, so make sure they are prepared and ready. This will make the process smoother and more efficient. If you are unsure about applying for a cash advance or payday loan, simply consult an expert. If you know that your short-term situation will allow you to pay back the loan quickly, then you should not fear the payday loan. Usually, these options are for very particular situations. Be sure that you are obtaining the best loan for your personal situation. 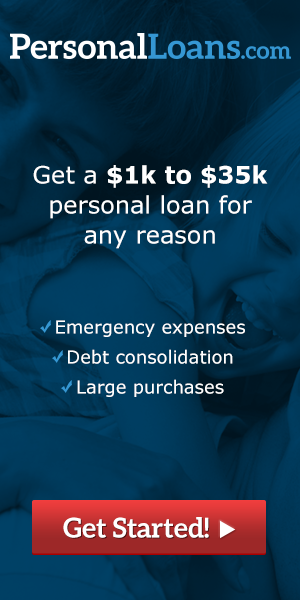 Emergencies and other urgent times are really the only appropriate moments for a cash advance or payday loan. Be a savvy shopper and do not just agree to the first loan you find. Although you may be in a tight situation, you should still do your research and find the right choice for you.